The much-awaited next version of Windows operating system, Windows 10, is been pushed for download silently in the background for all Windows 7 and Windows 8.1 that made the reservation for free upgrade to Windows 10. And Microsoft has also started to notify eligible users who have completed the download of Windows 10 setup installation files through pop-up and Windows Update message that their upgrade is ready to install. In the view of Windows 7 and Windows 8.1, the full upgrade installer for Windows 10 is released as a Windows update, with the KB name of KB3012973. The size of the update differs by system though, and as it’s categorized on importance level as an optional update, it won’t automatically install on current system unless you ask Windows Update to install recommended and optional updates as if they’re important updates. In addition, KB3012973 is flagged as “Internet Only”, which means every computer will try to download the complete setup installation files, which is several GBs in size, over the Internet. If you can’t wait for Windows 10 rollout process to hit your computer and offer you to start the WinX upgrade process, or if your computer has downloaded the WinX setup installation files (which stores in hidden $Windows.~BT folder located at the root of system drive, i.e. C:\) but the upgrade process don’t start yet, you can use the following tricks to forcefully trigger the download and install of Windows 10 free upgrade on existing Windows 7 or Windows 8.1 system. The tricks can also be used to troubleshoot any issues related to downloading and upgrading to Windows 10 through Windows Update. Assuming that the Windows 10 installation files have already been downloaded to your local PC, but upgrade process is not started yet unless a registry key is created and added. Follow the steps to add the registry key and force install Windows 10 instantly. Ensure that Windows 10 installation files have been downloaded to %SystemDrive%\$Windows.~BT with file size of more than 2 or 3 GBs. Right click on OSUpgrade and create a new DWORD (32 bit) Value named AllowOSUpgrade. Double click or double tap on AllowOSUpgrade, and modify its value data from 0 to 1. Run Windows Update, and click or tap on Get Started button to start the upgrade to Windows 10. After executing the command, go to Windows Update, and you should start to see that it’s downloading Windows 10 by getting setup files, checking requirements and etc. Once download is completed, you will be offer option to install and upgrade to Windows 10 right away. Another alternative to trigger the download and/or install of Windows 10 is by running the maintenance tasks, which was reported by some users to be successfully forced Windows Update to start downloading Windows 10. To do so, search and go to Action Center. Then, go to Troubleshooting, and select Run maintenance tasks. Complete the wizard and then go to Windows Update to check it out. 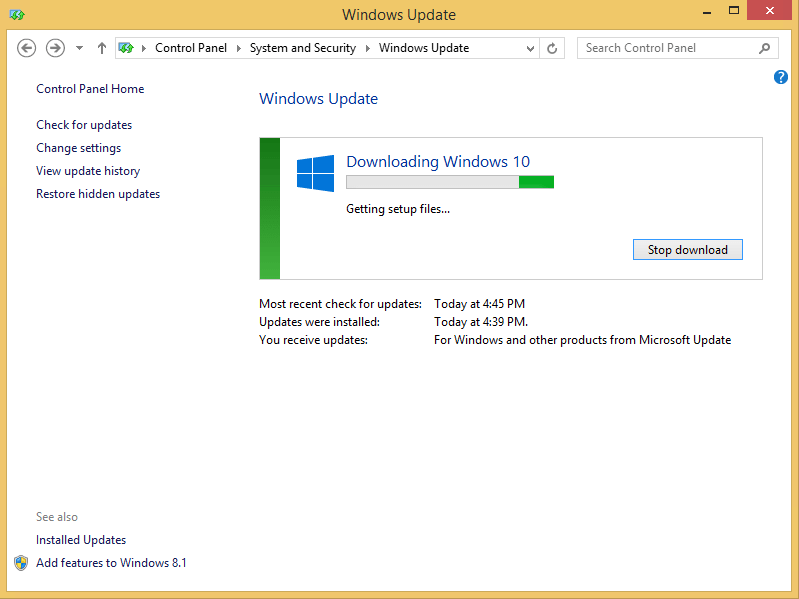 Once download of Windows 10 is completed, you will be offer option to install and upgrade to Windows 10 right away. 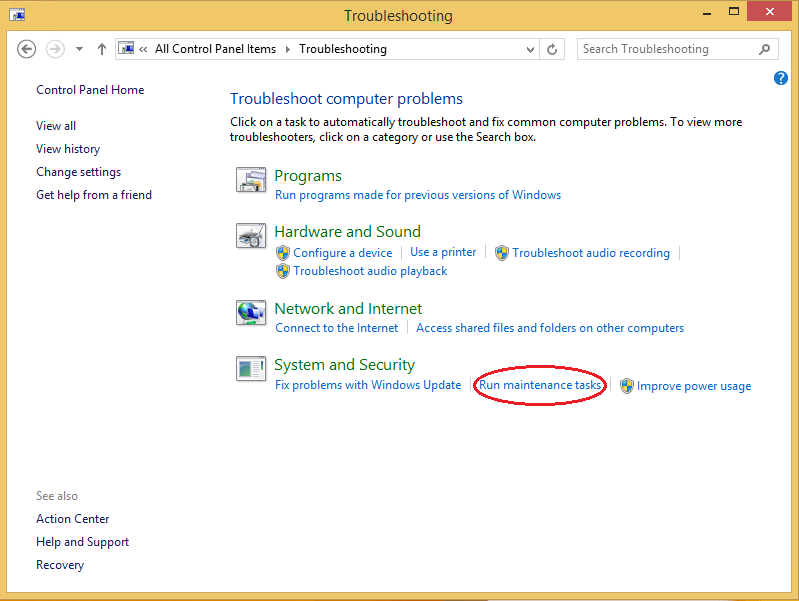 For this method to work properly, make sure that you have install all updates in Windows Update. 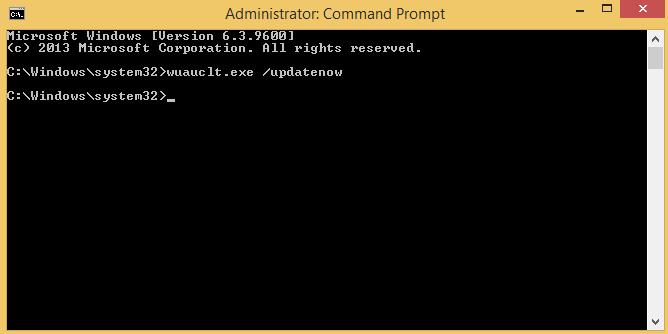 Visit Windows Update PowerShell Module and download the PSWindowsUpdate.zip. Search for Windows PowerShell, right click on it and select Run as Administrator. When the 4-step process completed, your system should start the upgrade process to Windows 10 automatically. Using the PowerShell method does not require the Windows Update, as everything is executed by the PowerShell cmdlet. Microsoft released Windows 10 Media Creation Tool that not only allows you to upgrade in-place, but also download Windows 10 ISO or create Windows 10 media in USB flash drive or DVD. If you already have the ISO images of Windows 10, you can always upgrade to Windows 10 by using the Windows 10 ISO.